Recruitment Announcements has become a normal information nowadays as multiple notifications are being released in the recent days. One more notification has been added to that list as the Forest Research Institute, Dehradun has released the notification for the available 98 vacancies now. The vacancies which are released now, are for the position of Technician, Technical Assistant, Store Keeper, Driver, Lower Division Clerk (LDC), Forest Guard and Multi-Tasking Staff. As mentioned above the total number of vacancies available is 98 which is split between the various posts. Aspirants can check the Individual Vacancies , Age Limit to Apply for that individual Posts and the Educational Qualification from the table that is mentioned below. 1. Technician Level – 2 10 Matriculation from a recognized board with ITI certificate in relevant trade or certificate course from a Government recognized Institute. Not below – 18 years or exceeding 30 years. 2. Technician (Field/Lab research) Level-3 45 10+2 in Science with 60% marks in aggregate or equivalent from a recognized board. Not below 18 years or exceeding 30 years. Not Below 21 years or exceeding 30 years. (1) Matriculation from a recognized board. (2) Possession of a valid driving license for Motor Cars. (3) Experience of driving a Motor Car for 3 years or more. Not below 18 years or exceeding 27 years. 6. Lower Division Clerk Level – 2 19 (i) 12th pass certificate from a recognized Board. Typing speed of 35 words per minute in English or 30 words per minute in Hindi on Computer Not below 18 years or exceeding 27 years. 8. Multi Tasking Staff Level – 1 15 Essential: 10th standard pass from recognized Board/ recognized school. Desirable: 3 years or more experience in relevant field Not below 18 years or exceeding 27 years. Selection will be based on a Written Examination / Skill Test. Aspirants can apply Online for the Exam from the below given link and the detailed notification can be found from the link that follow. 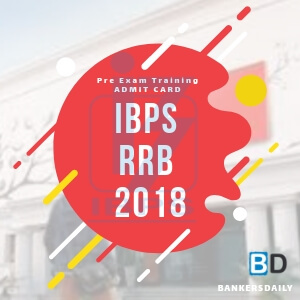 Educational Qualification of Forest Research Institute | Group "C"
Bank of India SPL officer, PO – V Reserved Candidates list announced!! !